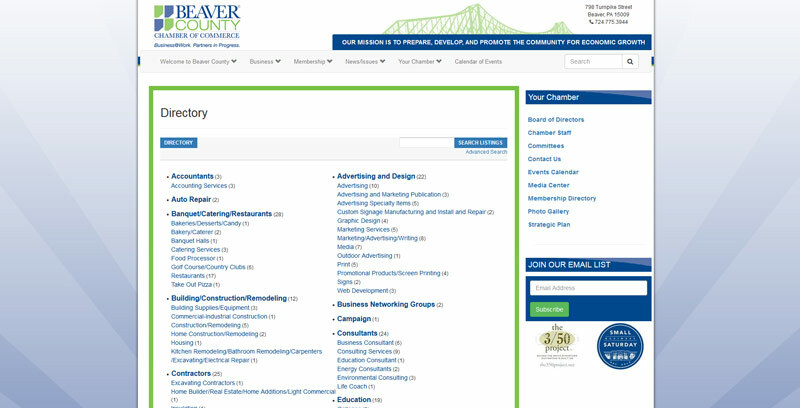 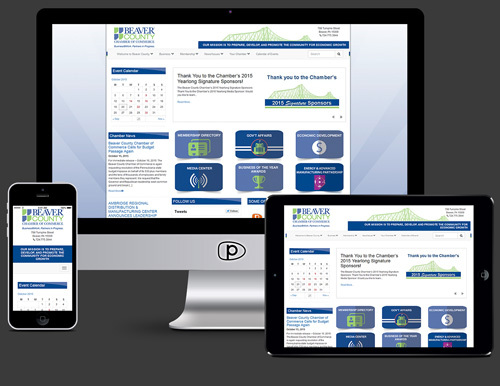 The Beaver County Chamber of Commerce plays a large role in the local business community and requires an updated web presence that features a large amount of information and data for members, as well special sections such as their Member Directory. 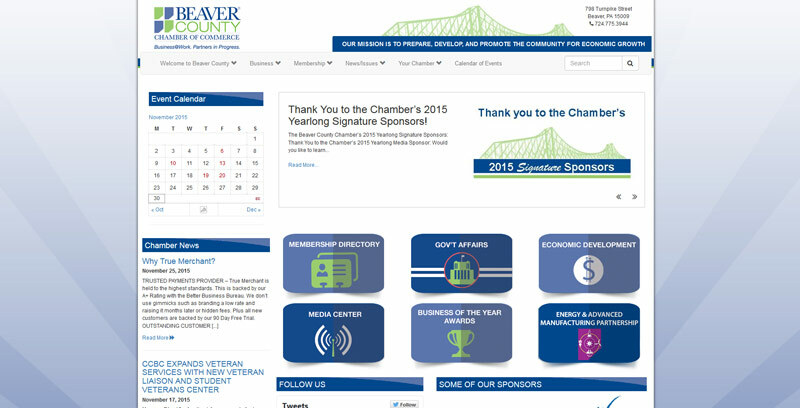 Pacer created a modern site using responsive design that would ensure the Chamber had a good looking presence on every device. 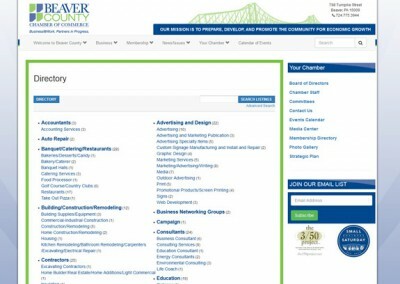 Pacer was able to implement WordPress as a CMS and trained the Chamber staff, allowing them to keep things like the Member Directory up to date, as well as post the new, events and more. 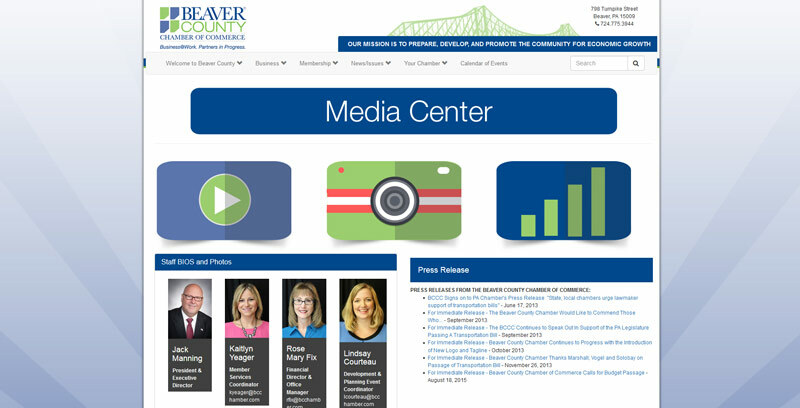 Pacer still works closely with the Chamber to ensure that the site is constantly evolving to meet members needs, but the day to day updating is handled completely by the staff at the Beaver County Chamber of Commerce. 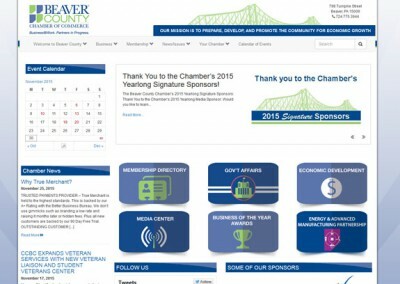 This allows the chamber to budget those dollars that are saved towards other projects. 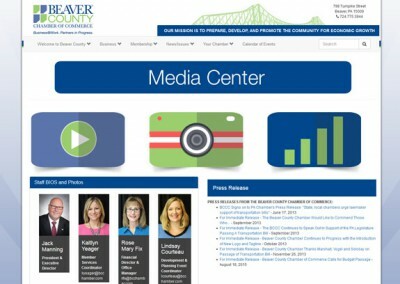 Recently, Pacer completed the addition of the Member to Member section for the BCC. 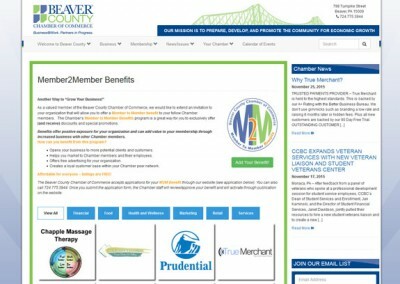 This section allows member to easily search benefits and discounts that are available exclusively for Chamber Members. 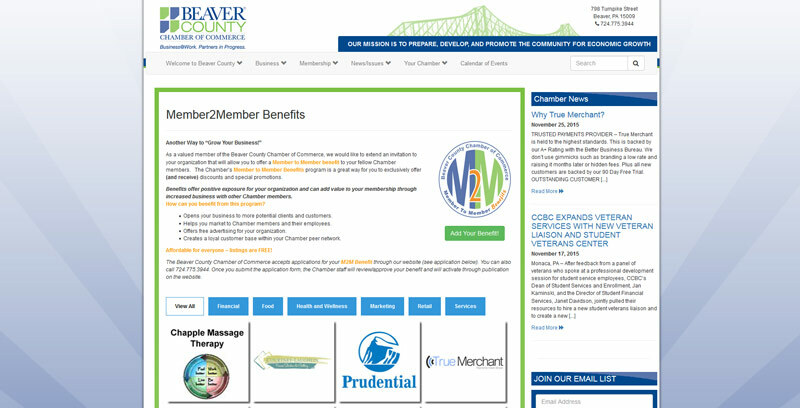 The Chamber staff is able to add and update these benefits themselves, ensuring that this section is always up to date with the latest benefits.